Assembly Elections Exit Polls LIVE: Madhya Pradesh:As predicted by Republic-C Voter, Congress is likely to emerge as the largest party with victory on 110-126 seats whereas, the BJP is speculated to stand victorious on 90-106 seats. New Delhi: Following the intense face-off between the Narendra Modi government and the opposition, last-minute switching of camps, allegations, counter-allegations, caste equations and pre-poll surveys made for a heady election ****tail in five states. However, the poll results continue to remain unpredictable till December 11 when the votes are counted in Chhattisgarh, Madhya Pradesh, Mizoram, Rajasthan and Telangana. Amid the eagerness among people to know the outcome, Zee News’ Maha Exit Poll, which went LIVE from 5 pm today, will give a clear way of what the people in these five states have decided for the next five years. If the BJP manages to continue its good show, it will energise its cadres and give a fillip to its hopes of retaining the power at the Centre in 2019. On the other hand, if the Congress manages to upset its dominant rival in these assembly polls, then it will be a big boost to the opposition for the Lok Sabha polls. In 2013, the BJP had won 165, 163 and 49 seats in the Hindi heartland states of Madhya Pradesh, Rajasthan and Chhattisgarh respectively, with the Congress securing 58, 21 and 39 seats. In Telangana, the ruling K Chandrasekhar Rao-led Telangana Rashtra Samithi is seen to be going strong and will face contest from the Congress-led ‘Praja Kutami’ (grand alliance) and the BJP. After winning 63 seats in the 2014 assembly polls, the TRS’ ranks swelled with members of rival parties joining it over the years. However, anti-incumbency and advancing of polls by KCR may throw up surprises. In Mizoram, the Congress has been in power since 2008, while in Chhattisgarh and MP, the Bharatiya Janata Party (BJP) has been ruling for the last 15 years. In the 2013 Chhattisgarh assembly polls though there was a difference of 10 seats between the BJP and the Congress, the difference between their vote share was just 0.75 per cent. The contest in Chhattisgarh again promises to be a nail-biter as the ruling BJP is facing anti-incumbency, while the Congress is up against the challenge of the Ajit Jogi-Bahujan Samaj Party (BSP) tie-up. In Madhya Pradesh, the contest looks even more tighter as the anti-incumbency is a big factor in the state with the Congress consistently doing well in the by-elections held in the last year-and-a half. In the 2013 Rajasthan assembly polls, the BJP had won 45.17 per cent votes, while the Congress had got 33.07 per cent. However, voters here traditionally haven’t elected the same party to power for two terms in a row and hence anti-incumbency is a major player here than other states. The results are hard to predict as with the Lok Sabha elections looming large the dynamics of the state polls is different this time and the final stretch of campaigning would be important. Rajasthan Election 2018 Exit Poll LIVE: Will BJP Retain Power or Anti-Incumbency Cause a Dent to Its Poll Ambitions? New Delhi: Rajasthan went to polls on Friday to determine whether the BJP manages to buck anti-incumbency, or an increasingly aggressive opposition turns the tide to return to power. While the results will be announced on December 11, the picture is expected to come clear to some extent with the exit polls today. Meanwhile, all eyes continue to be on the straight fight between the BJP and the Congress for about 130 of the 200 state assembly seats. In other constituencies, groups like the Bahujan Samaj Party (BSP) and rebels who are contesting against official party candidates may queer the pitch. Over 50 of the 200 assembly constituencies in Rajasthan will see a triangular contest with rebels from both the BJP and the Congress remaining in the fray as independent candidates on many of these seats. 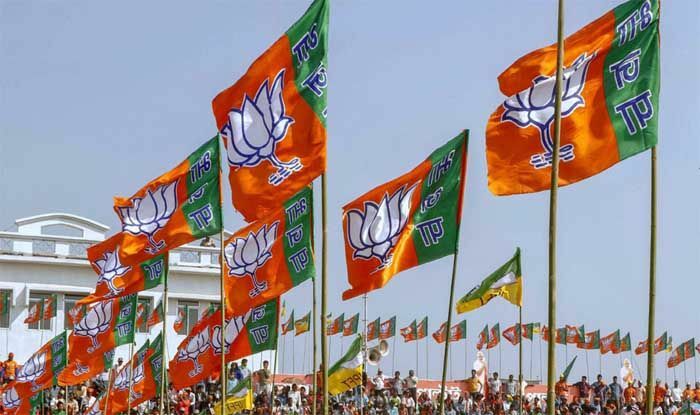 While the saffron party expelled 11 rebel candidates, including four ministers, for their decision to contest elections against party candidates, it managed to persuade MLAs Gyan Dev Ahuja, Bhawani Singh Rajawat, Taru Rai Kaga and Alka Gurjar from contesting against the party nominees after being denied tickets. The recent pre-poll surveys have given the opposition a clear edge over the BJP in the poll-bound state, primarily due to the anti-incumbency factor. Also, the state has been voting both the parties to power alternatively since 1993. However, the outcome depends largely on factors like caste equations, party’s chief ministerial face and the NDA government’s presence at the Centre. Vasundhara Raje hopes to return as the state’s chief minister. If the Congress wins, it is expected to pick between former chief minister Ashok Gehlot and state party president Sachin Pilot for the top post in the state. Leaving no stone unturned to retain power in Rajasthan, the BJP, in its poll manifesto named ‘Gaurav Sankalp’, promised to create over 50 lakh job opportunities in the self-employed and private sector. It also promised it will try to build an artificial inland port by bringing the waters of the Arabia Sea to Gujarat to Sanchor and Jalore. On the other hand, the Congress, eyeing to wrest power from the saffron party, has promised jobs to youth, free education to women, among other in its manifesto. Party chief Rahul Gandhi has also promised farm loan waiver within 10 days of coming to power. 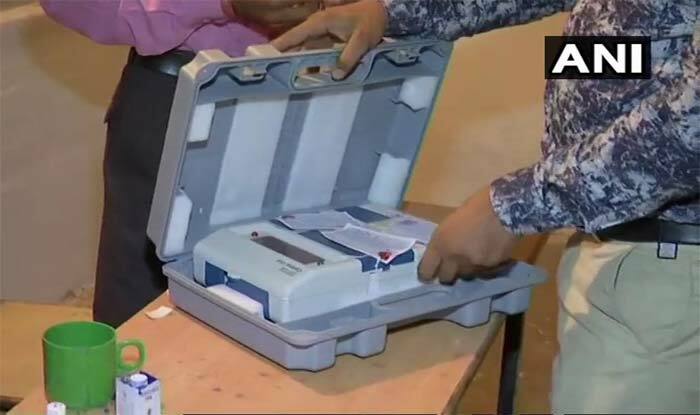 Rajasthan went to polls along with Madhya Pradesh, Telangana, Chhattisgarh and Mizoram. The results of the assembly elections in these five states is expected to set the tone for the 2019 Lok Sabha elections. New Delhi: Chhattisgarh went to polls in two phases last month to decide whether the Bharatiya Janata Party (BJP) retains a fourth straight term or the Congress returns to power after 15 years. Defying Naxal threat to boycott the elections, voters came out in large number to exercise their franchise, even in areas like Bastar and Dantewada, which have witnessed a sharp spike in Maoist activities in the recent past. The state is for the first time witnessing a three-way electoral contest with arch-rivals Congress and the BJP battling it out, with the alliance of Mayawati-led Bahujan Samaj Party (BSP) and former Chief Minister Ajit Jogi’s Janta Congress Chhattisgarh potentially turning out to be the third force. 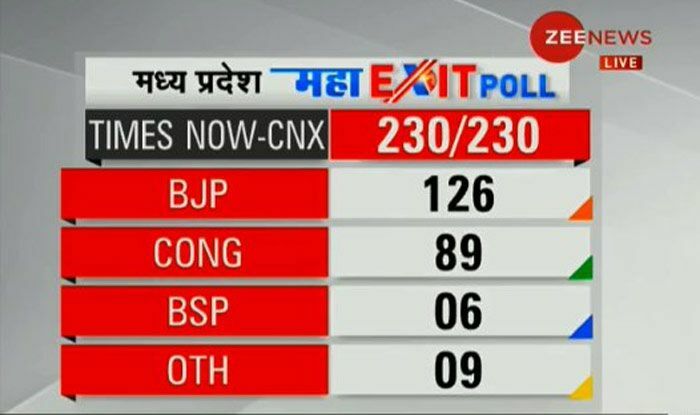 While the counting of votes on December 11 will decide the winner, Zee News’ Maha Exit Poll will give a viewpoint of who will form the next government in the state. Eyeing his fourth consecutive term as chief minister, Raman Singh is contesting from Rajnandgaon seat where his main rival is Congress’ Karuna Shukla, the niece of former prime minister late Atal Bihari Vajpayee. On the other side, the Congress accused the BJP of “failing” to control the Naxal menace and referred to the chit fund and civil supply scams. It also targeted the chief minister’s son Abhishek Singh over his alleged offshore assets.